Here comes Peter Cottontail, hopping down the bunny trail. Hippity Hoppity, Hippity Hoppity… okay, I think it’s safe to say that I’ve got rabbit on the brain. And who can blame me? With the warm and sunny days we’ve had these last few weeks, it’s hard not to think about Spring! And, of course, along with Spring comes Easter. And with Easter comes bunnies. You know what else comes with Springtime, Easter and Bunnies? The opportunity to create sweet little spring-themed treats and Easter recipes, as well as fun Easter Bunny recipes like these incredibly cute Easter Bunny Cream Cheese Mints and, my latest creation, these extra adorable Bunny Tails! 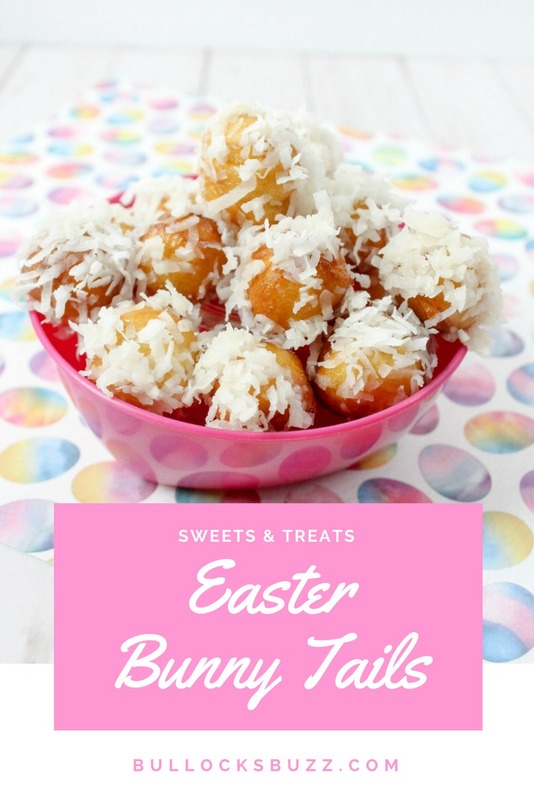 These cute Bunny Tails Easter treats are the perfect snack for both spring and Easter. You only need a few ingredients, and they taste absolutely amazing. Best of all, they take just minutes to make! So are you ready to see how to make these super cute, fun and fuzzy Bunny Tails? Begin by pouring vegetable oil into a sauce pan and place on the stove over medium-high heat. Remove the biscuits from the can and lay them on a cutting board. 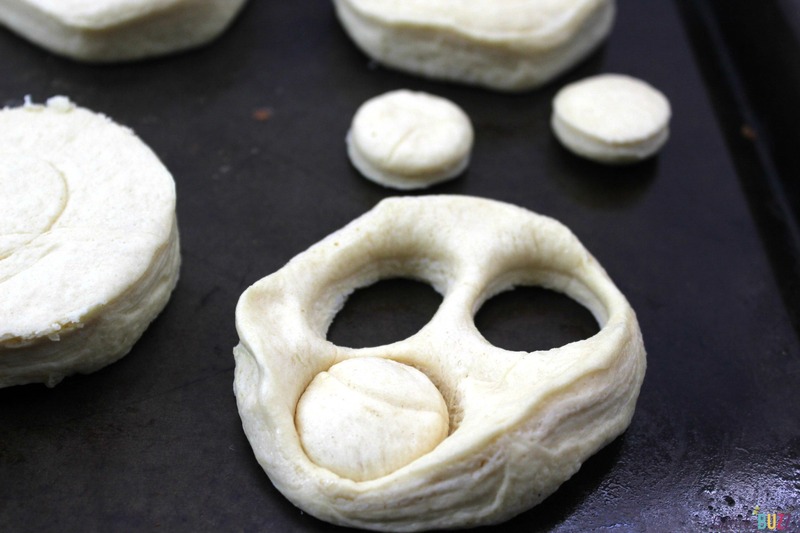 Using a 1 inch round cookie cutter, cut circles from each biscuit. If you don’t have a cookie cutter, the cap to a bottle (such as olive oil) would work just as well! You should be able to get at least 4 circles from each biscuit. 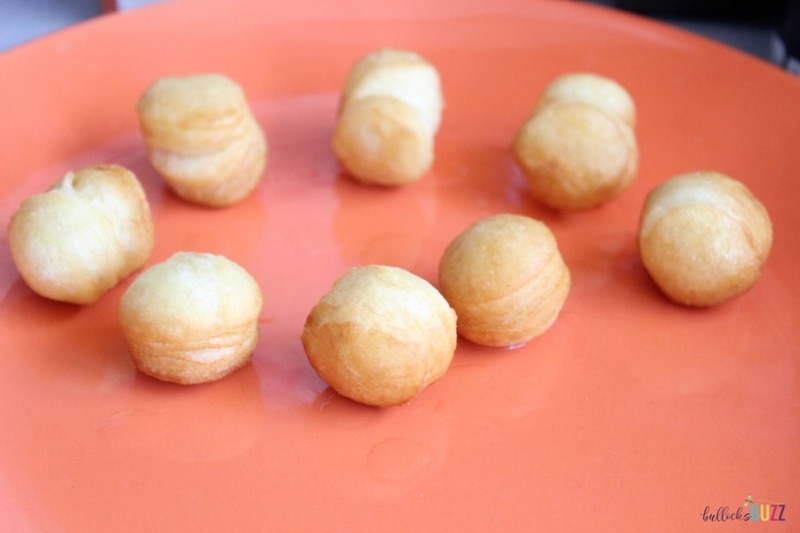 Next, carefully place 4-6 of the donut rounds into the hot oil. Once one side is golden brown, use tongs to flip it over and fry the other side. When finished, remove from the oil and place on a plate to cool. Next, in a shallow bowl, combine the milk, vanilla and powdered sugar stirring to make a thin glaze. 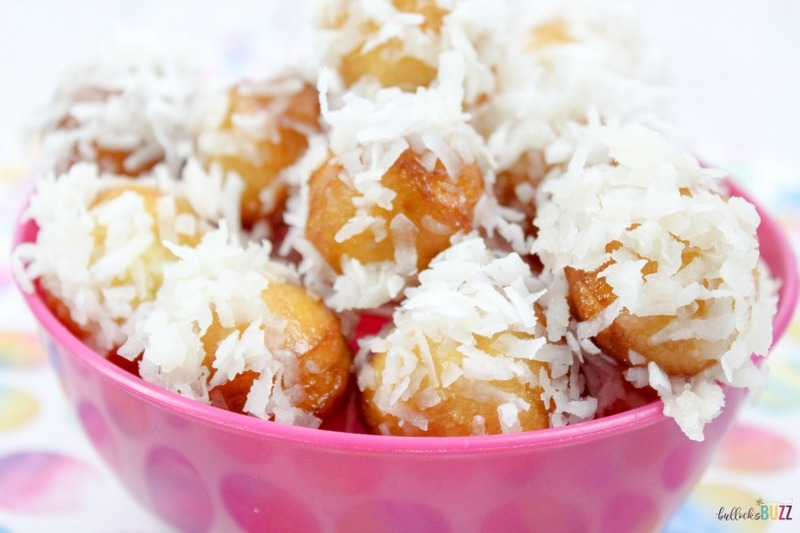 Then, in a second shallow bowl, add the sweetened coconut shreds. 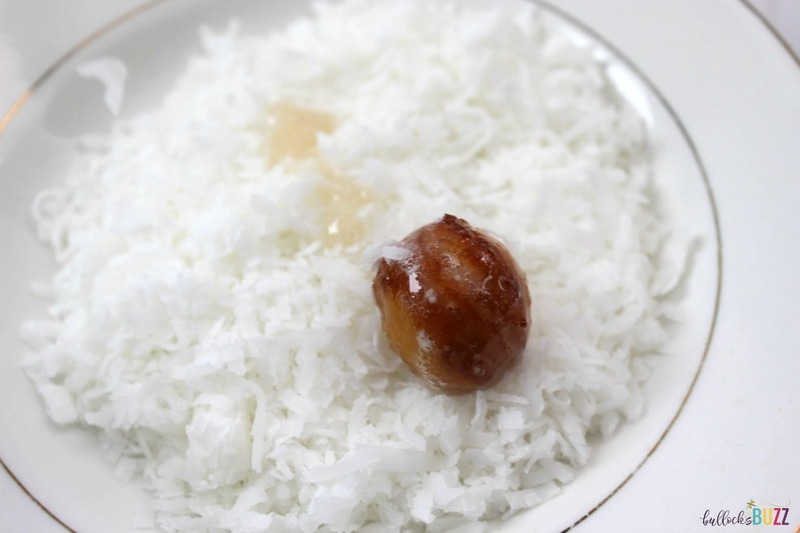 … and then roll it around in the coconut until covered. Place on a piece of parchment paper to set. And that’s it! 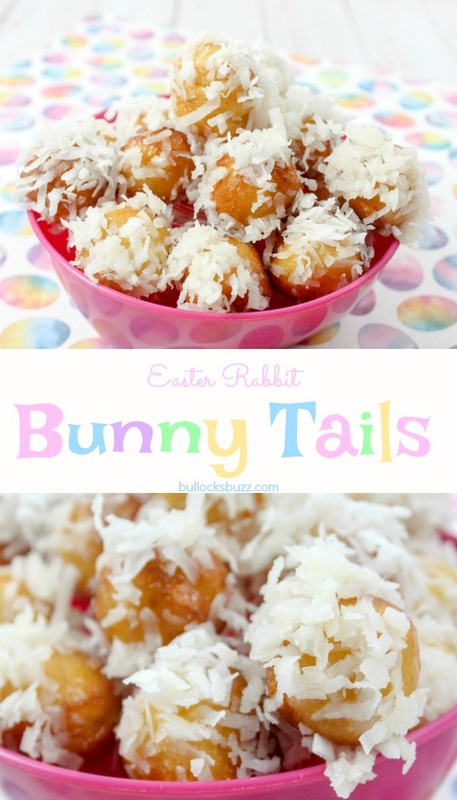 Your fun and fuzzy Bunny Tails are finished and ready to eat! Aren’t they precious?! I hope you enjoy these Bunny Tails as much as I did! Be sure to check back for more fun Spring-themed and Easter Bunny recipes, treats and crafts soon. In the meantime, here are a few more spring and Easter crafts and recipes, followed by the handy-dandy printable version of this Easter Bunny Tails recipe. Have a hippity hoppity happy Easter! Pour the vegetable oil into a sauce pan and place on stove over medium-high heat. Remove the biscuits from the can and lay them on a cutting board. Using a 1 inch round cookie cutter, cut circles from each biscuit. You should be able to get 4 circles from each biscuit. If you don't have a cookie cutter, a bottle cap (such as one from a bottle of olive oil) would work as well. Carefully place 4-6 of the donut rounds into the oil. Once one side is golden brown, use tongs to flip and fry the other side. When finished, remove from oil and place on a plate to cool. 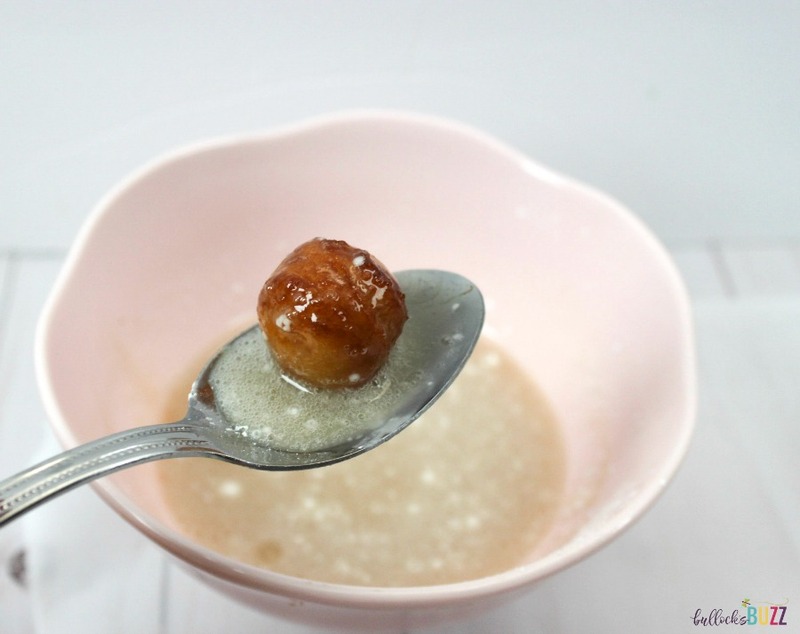 To make the glaze, add the milk, vanilla and powdered sugar to a shallow bowl, and mix until combined. 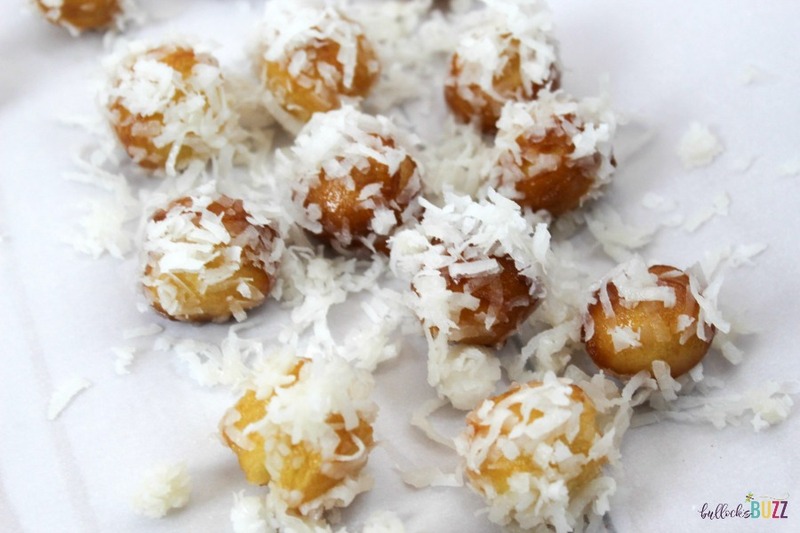 In a second shallow bowl, add the sweetened coconut shreds. 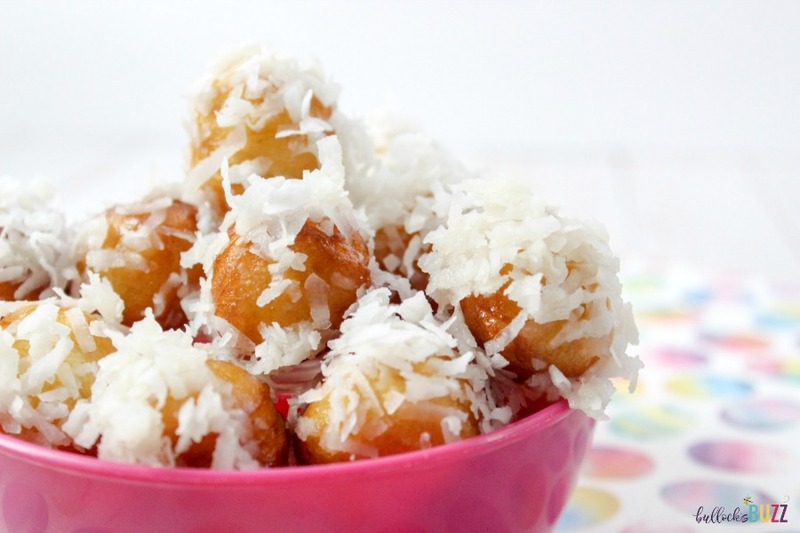 Dip each donut round into the glaze and then roll it around in the coconut until covered. Place on parchment paper to set.